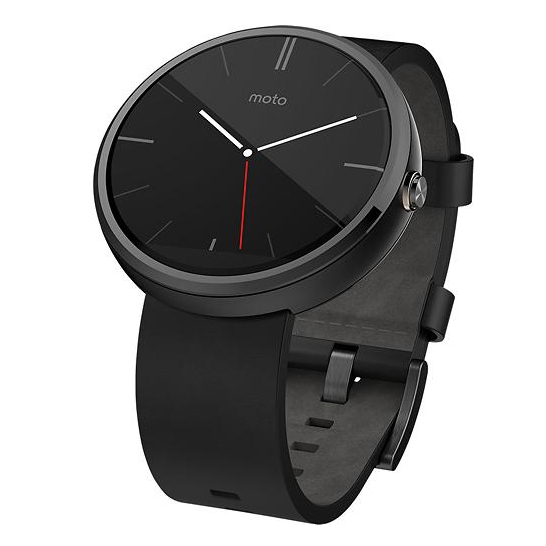 Update: Best Buy and Google Play are both now showing the Moto 360 as sold out. Best Buy has announced that all of its brick and mortar stores should have the watch on display in person on Sunday, September 14th. Just slightly behind schedule, Moto 360 links have now appeared at Best Buy, Google Play, and Motorola.com. At Best Buy and Google Play, the watch is available in silver with a gray leather band or black with a matching black band. In either color, the watch costs the same $249.99, and the price remains the same regardless of where you pick it up. Best Buy is showing the watch as shipping to stores in 5 - 7 days or shipping to homes starting on September 11th. Google Play says the watch will leave warehouses by September 12th. The Moto 360 is already backordered on Motorola.com, likely as a result to devices appearing on the site a little sooner than expected. Experiences are varied trying to order from the other sites. All of three are only selling the device in the US.